As I covered in Part 1 of this article in my blog post from Sept. 9, pop-up stores have become a permanent component of the retail landscape. 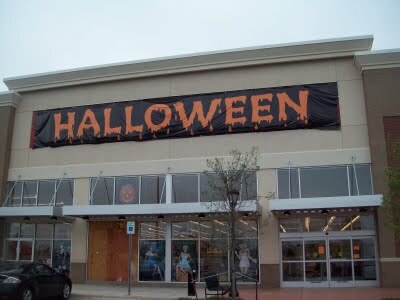 These retail stores of a strictly temporary nature, most typically Halloween or Christmas decoration stores, have evolved into what is now a sophisticated and carefully planned marketing and branding concept. For shopping center owners, pop-up stores seem like the perfect solution to retail vacancies. At the same time, retailers also use them for testing new markets or concepts as well as for promoting brand loyalty. Toys”R”Us, for example, used them extensively during last year’s holiday season. Most temporary store transactions are structured as a license agreement and not as a lease. This is because it simplifies the negotiation process for the landlord and provides them with more flexibility to remove a tenant if it breaches the agreement. For a retailer that is planning on opening a pop-up store during the holiday season, careful steps should be taken to verify that the signage for the store will not be an issue. Branding is one of the major reasons cited by retailers in their use of pop-up stores. They want customers to return to one of their permanent locations, or they may even want to actually retain the space after the holidays and enter into a long-term lease for the location. Therefore, appropriate review of the signage clause is necessary. The next major issue is the use clause. The tenant needs to make sure that there are no exclusives in any existing lease that would prohibit or limit the intended use of the premises. A retailer could find, after a substantial investment in merchandise and employee costs, that it cannot use the premises as intended. Tenants should not blindly rely on the landlord to make sure that the use is permissible. Appropriate research should also be conducted to verify that the tenant may obtain all required licenses and permits to operate in the premises. Most pop-up store license agreements state that the property is being taken “as-is.” If there have been building code changes or other changes to laws that make the premises not in compliance, the tenant may not be able to obtain an occupational license from local authorities to open and operate the premises. Remember that pop-up stores are filling vacant space, so it is important that the tenant find out how long the space has been vacant and whether it is code compliant. Last but not least is to plan ahead. If there is a possibility that the tenant will want to keep the space for a longer term, make arrangements to stay in the space while a new lease is negotiated. We do not encourage tenants to keep long-term possession of stores under a license agreement. While it might seem like a possible alternative, negotiate a formal lease agreement if the tenant intends to stay beyond the short-term life of a pop-up store agreement. Our real estate attorneys in South Florida have extensive experience in the structuring of license agreements and leases for retail space on behalf of both landlords and tenants, and we regularly write about these types of issues in this blog. We encourage industry followers to enter their e-mail address in the subscription box on the right in order to automatically receive all of our future articles.